As we approach World Rhino Day (which will take place on Tuesday, Sept. 22), Busch Gardens Tampa has some very exciting news to share with us. Kisiri, an 18-year old southern white rhinoceros, is expected to give birth to her third calf within the next few weeks. Kisiri has had two successful births already, Jasiri in 2012, and Zohari in 2010. 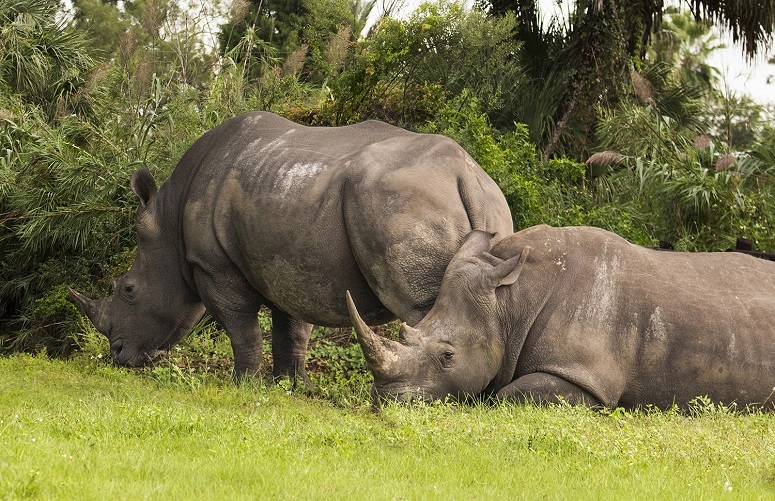 Tambo, a male southern white rhinoceros at Busch Gardens Tampa, is the sire of the calf, as well as Jasiri and Zohari. Southern white rhinos are listed by the International Union for Conservation of Nature and Natural Resources (IUCN) as a near threatened species. They are native to eastern and southern Africa. These massive animals can stand more than 6 feet at the shoulder, weigh as much as 5,000 pounds and live to be 45 or older. The gestation period for white rhinos is approximately 16 months. Busch Gardens Tampa will celebrate World Rhino Day on Sept. 19, allowing park guests to learn about all five rhinoceros species including the critically endangered black rhinoceros and northern white rhinoceros and the threats all rhinos face in the wild. Guests also can help create a large paper-mache globe that will be given to the rhinos as enrichment later in the day. Kisiri’s pregnancy is part of Busch Gardens’ participation in the Association of Zoos and Aquariums’ (AZA) Species Survival Plan (SSP). The mission of the SSP is to cooperatively manage specific species populations within AZA-accredited facilities. PHOTO: © 2015 SeaWorld Parks & Entertainment, Inc. All Rights Reserved. Now there's a baby that would need a BIG stroller!